Persistent and intermittent pain hinders daily activities. Bending, sitting, lifting, gardening , sleeping or standing for extended periods may be restricted because of your back pain. Pain sometimes refers to your hip, leg or even down to your foot. 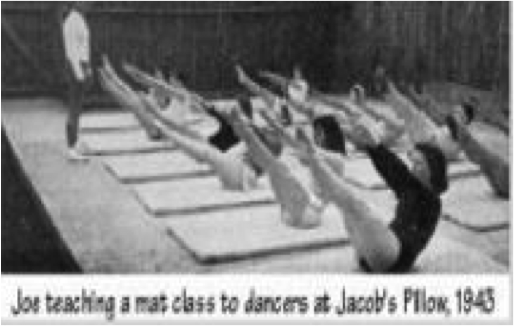 At Waverley Pilates we will work with you to strengthen your low back and the deep abdominal muscles, (the CORE). Research has shown that working with these muscles a little as once a week assists in healing and alleviating pain. Misalignment of the spine and instability of the pelvis have a role in buttock, groin and hip joint pain. This can range from annoying to disabling pain when sitting, or driving for long periods, standing, sleeping, walking, sport and leisure activities and pregnancy. We teach you in-studio and at-home techniques for releasing your tight hip muscles that may be constricting the joint and causing dysfunction. We will then work with specific muscles that need to be strengthened to rebalance the pelvis. Pain in the neck, shoulder and arm area can cause extreme discomfort. Frozen shoulder, bursitis, tendinitis, tennis and golfers elbow are conditions of the shoulder we successfully manage. At Waverley Pilates we work to stabilise the shoulder girdle, in line with latest research that indicates insufficient shoulder stability plays a major part in shoulder conditions. The benefits you’ll experience are significant pain reduction with the goal to regain full movement of arm and shoulder, over-head arm movement, doing up bra strap, lifting groceries and children and sports activities. Knees take a fair beating over the course of a lifetime. Weight gain, poor knee alignment and many sports activities such as netball, jogging, weightlifting, footy and squash can contribute to wear and tear on the joint. Knee symptoms can make it hard to get up from the ground, kneeling, managing stairs, sports activities of all kinds, jogging, running, walking. The muscles associated with the knees are strengthened by working on the Reformer, our specialised equipment that allows graduated strength building. We will require a thorough assessment of your knee condition and work with you to stabilise knee movement in all directions, allowing resumption of sports and other activities. We pay special attention to the exercise needs, health and comfort of pregnant women and mothers. Our Pre-Natal and Post partum program training with Carolyn Anthony (Center for Women’s Fitness, USA) allows us to confidently respond to women fitness and health needs throughout pregnancy and post natal stages, offering safe and sensitive exercise options. You will be doing an individually designed program suited to your trimester, strength and fitness. Your GP or Obstetrician will need to approve your participation if you’ve not previously attended classes with us prior to your pregnancy. We work gently to keep you toned and supple during your pregnancy and prepared for the birth of your baby. Returning to Pilates after the birth of your baby will then help you regain your strength and fitness.